Winter is here and so is the cold and snow. It’s the time of year when people wear layers of clothes to keep themselves warm. But you can also wear all of the warm clothes you want and still look stylish. 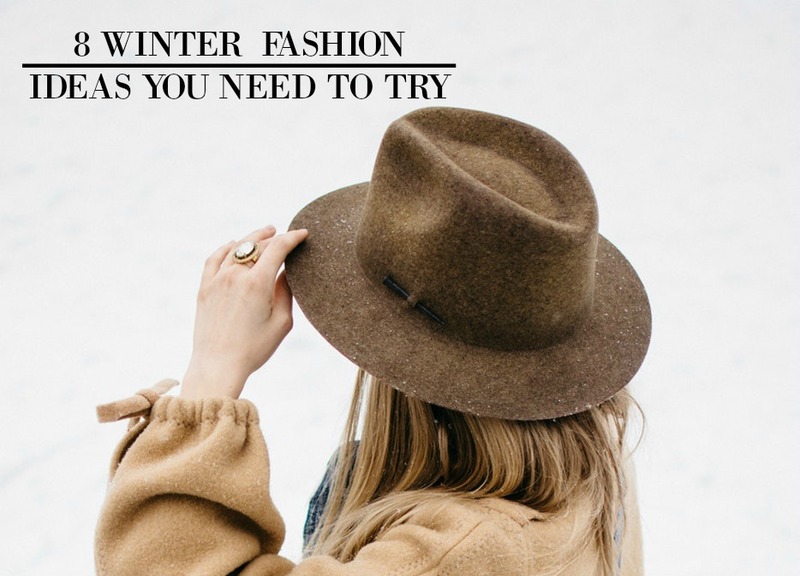 And these simple winter fashion tips will help you do just that. So check them out and let me know what you think! It’s the perfect combination of comfort and fashion. A faux fur coat can look sophisticated, chic, and keep your warm in the dead of winter. It’s an amazing piece for people who want to make a statement. You could probably say that the turtle neck is one of the classiest ways to keep you warm this winter. You can pair it with a coat or wear it underneath a dress. They also look great with denim jackets or a sweater. There are just so many ways you can rock it. Although people usually prefer dark colors during winter, there’s nothing wrong with adding a bit of color. And you can make your winter dress more attractive by combining it with a colorful hat. Not only does it keep you warm, but it also makes you look seriously cute. No matter what the color or material is, they will always be a top item for your wardrobe. They’re available in different colors, but leather seems to be a favorite among many women. Pair it with tight jeans and a shirt and you’re good to go. This combo will give you an amazing and stylish look. You can wear black pants with a white shirt and pair it with a camel colored long coat. Use any two or all three of these colors for a great look. These three colors will never go out of fashion and look so good together. Try on boots with heels or without. Sports shoes like Nike and Adidas also look good with your winter outfits. Don’t go with the same design. Try out different looks like knee high boots or a colorful pair of flats. But most of all, make sure they’re waterproof! Remember that whenever you’re wearing a not so colorful dress, you can use a bold necklace, scarf, or hat. Or if you’re wearing a rather colorful dress, choose classic colors like white, grey, or black for your accessory. It’s a great way to not overdo a look and accentuate certain parts of your outfit. When you wear a warm sweater and coat, you can pair them with skinny jeans. They look seriously good, but remember to wear warm tights underneath to keep yourself cozy and stylish. We all want to look cute but cozy when the cold weather comes, and thankfully, there are plenty of ways to do just that. So try out some of these tips and let us know what you think!